If you could pick one celebrity who looks like your girlfriend, boyfriend, husband, or wife, who would that be? It doesn’t have to be a close resemblance, but even a slight resemblance. Which celebrity out there resembles your s/o the most in terms of physical appearance? For example, my wife kind of looks like Keiko Matsuda of Pink Lady fame (the lady on your right). My boyfriend in high school was a Seth Rogen look-a-like. They have the same voice, too. My husband has been mistaken for Henry Winkler (The Fonz) more than once. 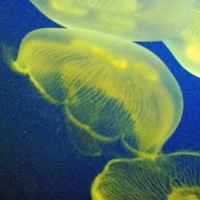 @Vunessuh Wow, even the voice? @Judi Happy Days! I loved that show! My husband is a more masculine looking Tom Hanks. He has that funlovingness about him like Hanks. Curly black hair, but a squarer jaw. He, my husband, is a little more of a trendy dresser at times also, when we go out. I don’t think of Tom Hanks in DKNY and CK. When he was younger he was told he looked like Sal Mineo seen here with James Dean. @JLeslie Rebel Without a Cause is one of my favorite movies! @MRSHINYSHOES Most people my age and younger don’t know who Sal Mineo is. My husband does look a lot like him in some photos. @JLeslie He was good in that movie. Winona Ryder, or so I’ve been told. People always say that my husband resembles Adam Sandler. He doesn’t really look like him, but there are similarities in their features and the way that they carry themselves that I can see where people could think that. John Wayne. He doesn’t actually look like him all that much, but he’s got that same rugged handsomeness about him. Similar walk, too. My first girlfriend looked (and still kind of looks like) Jillian Michaels.. I dated a girl for three years who looks like a combination of Ellen Page and Emily Browning. And then I also dated a girl off and on who looks just like straight up Emily Browning without the Ellen Page thrown in there… especially in this picture. I’ve had multiple girlfriends that looked like Lucy Lawless during her Xena period. Axl Rose when he was younger. I once told my sister she looked like the lead singer of REO Speedwagon.She beat me up. He used to look like Rick Moranis. Since he ditched the glasses and started wearing his hair close-cropped, he now looks more like Ben Stiller. 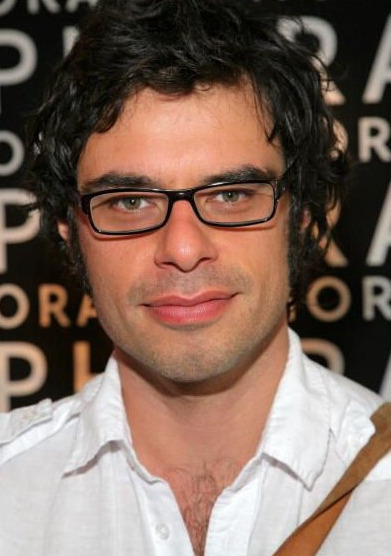 My last serious BF is a dead ringer for Jemaine from Flight of the Conchords. When I saw the posters for show when it first came on American TV, I thought it was my ex, except my ex’s eyes are blue, not brown like Jemaine’s. She looks a lot like her (this is animated, but, yeah, her face looks like that.). He’s like a young, more masculine looking Brent Spiner. I have always said that my boyfriend looks a bit like Nicholas Cage with a hint of Tom Hanks. I was on jury duty when I posted my previous answer from my iPhone, but this is what Jemaine Clement looks like. He’s going to be in the upcoming Men In Black III as the villain, apparently. @augustlan I liked John Wayne in “True Grit”. Are celebrities overrated in terms of beauty? Which celebrities do you always get mixed up? Do you have a 'type'? What famous person do you look like?